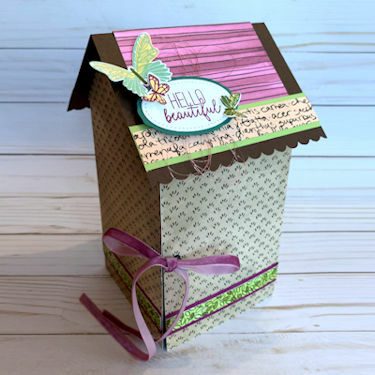 Make a sweet keepsake with today's Home Sweet Home Mini Album tutorial by Kelly Gettlefinger. Have a comment or question for Kelly? Look for the comment link in the right hand sidebar of each tutorial. I just love making “the Home Sweet Home” album. I’ve made two and plan to do many more. So much fun embellishing them. Thanks for featuring this tutorial.